Real Enterprise Architecture for Over 40 Years: Training. Consulting. Certification. And, home to the definitive enterprise architecture framework for your enterprise architecture activities. 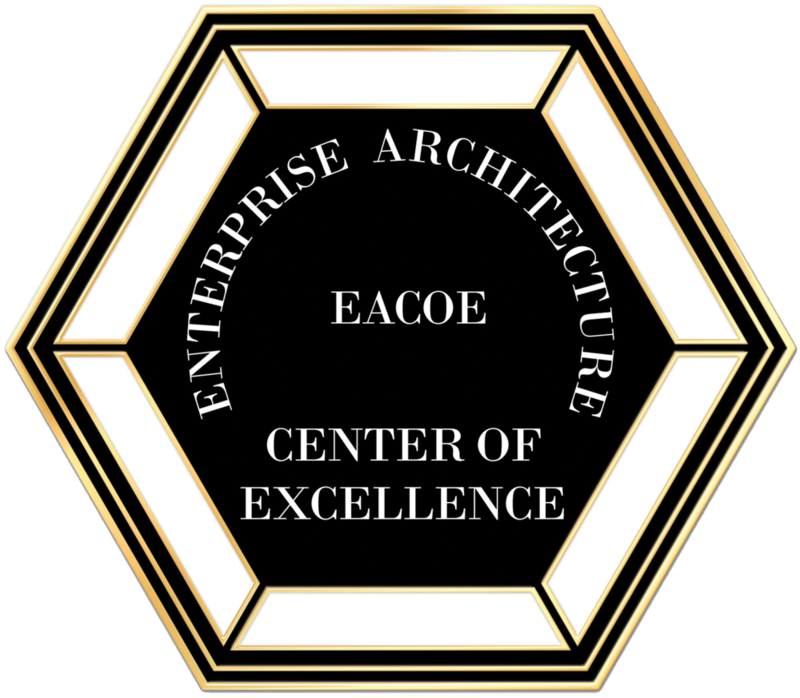 The mission of the Enterprise Architecture Center of Excellence (EACOE) is to advance the professionalism, practitioning, and the body of knowledge related to Enterprise Architecture, and to provide its members with a professional exchange forum of knowledge and experience in the use, implementation, and advancement of Enterprise Architecture. We provide the Enterprise Architect with a full complement of foundational skills and tools for success. Are you implementing a time-tested practitioner-based Enterprise Architecture in your business? Let us help you get there. Enterprise architects need a series of tools for implementation and documentation of projects. The tools every architect needs may range from comprehensive EA frameworks to common sense documentation and communications plan. At the EACOE, you have the advantage to gather knowledge on these from experienced professionals. We provide additional services to train and assist professionals so that you are not in ivory towers but are business driven. Find out how Enterprise Architecture can Make your Organization More Efficient, With More Successful Projects All Aligned To Business Strategy. Get all the expert advice and training you'll need to succeed from the Enterprise Architecture Center of Excellence.